From its early roots, Prairie Technology has focused on several design characteristics – style, ease of installation, value, and cab integrity or safety. Reinforced components are an integral part of all back panels and roof caps manufactured in our plant. Utilizing steel, aluminum, composite reinforcement, and other products, the structural integrity of our kits far exceeds those of our competitors. Real world “tests” of our kits have demonstrated amazing, yet not unexpected results. In one instance, a customer was loading asphalt into a dump box and backed up rather than moved forward as the asphalt was being dropped into the box. The result was that the mix was dropped directly onto the top of the cab. While the roof sustained some minor damage in the form of small cracks, it did not collapse and in fact maintained its structural integrity protecting the driver from injury. 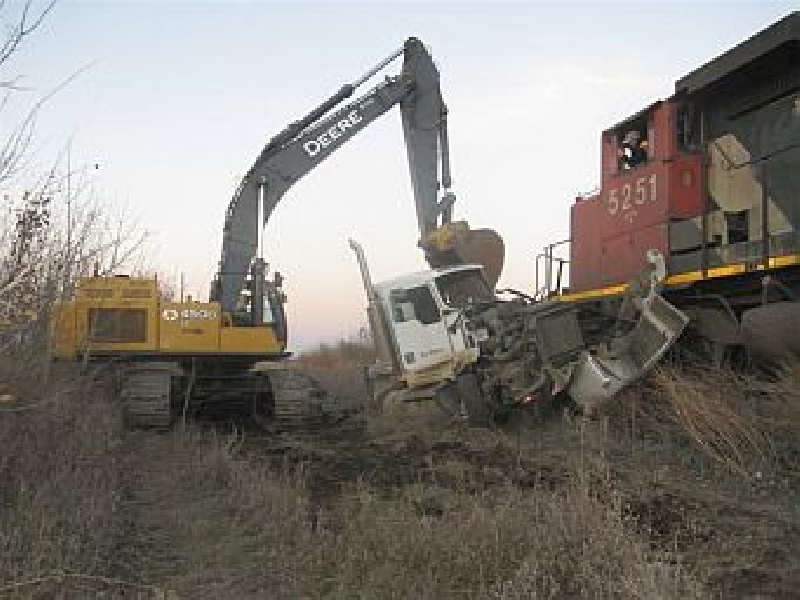 The most dramatic event occurred when a driver pulled out into the path of an oncoming freight train. The locomotive hit the cab broadside and carried it over 1000 feet down the railroad tracks. The driver’s door was severely damaged at the point of impact. 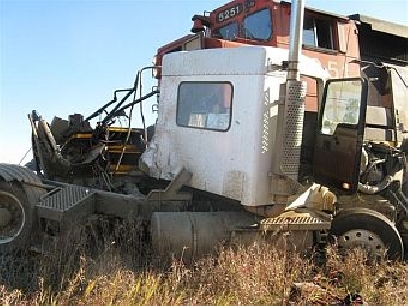 The frame rails and the fifth wheel were severely damaged. The hood even disintegrated. 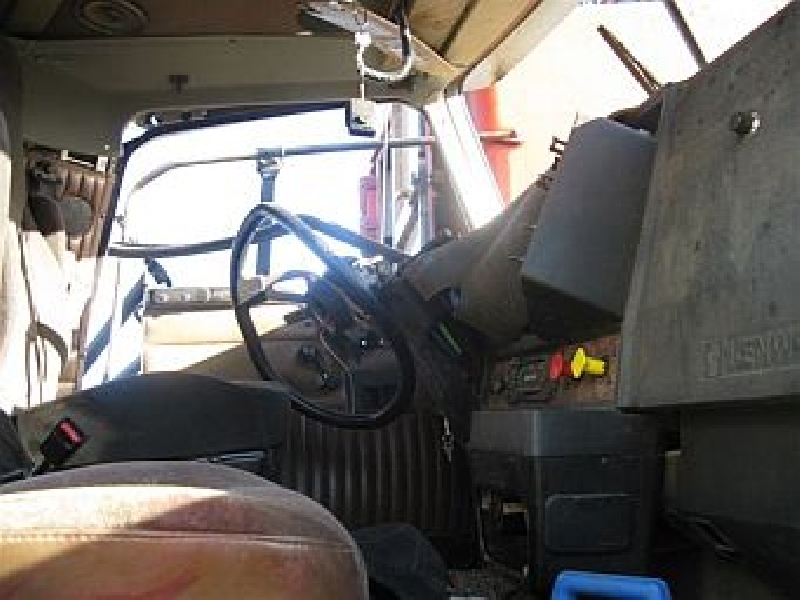 However, the cab and the conversion components remained intact and did not detach from the frame. The driver escaped with only minor injuries in what could have easily been a very serious or even fatal accident. We have included some graphic photographs taken at the accident scene for your review and reflection. When deciding which conversion kit to use and who to entrust to do it properly, carefully consider design, cost, reputation, availability, structural integrity, and safety. We believe that the obvious choice is a kit designed and manufactured by Prairie Technology.